Looking for kid-friendly excursions in London? We sum up some our favourite things to do in London. Image courtesy of ZSL London Zoo. 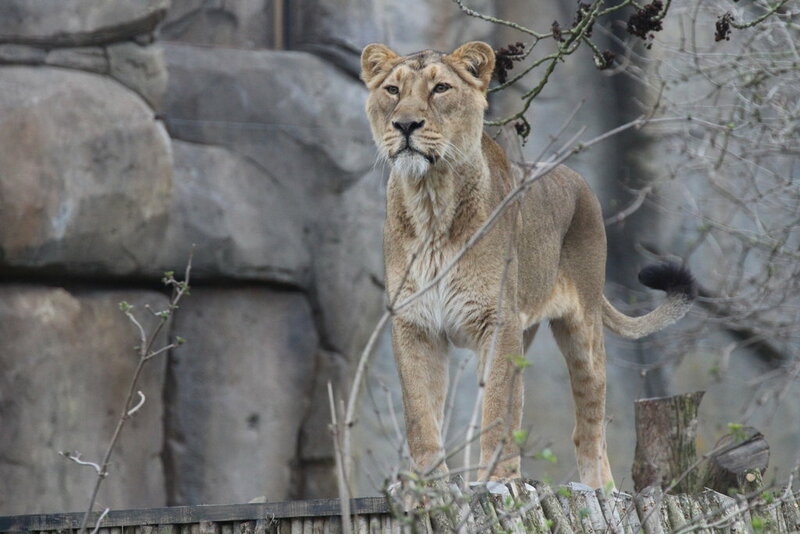 It's hard to beat London Zoo for a fun-packed day out with kids in London. Whether you are watching the giraffes neck each other, petting the goats and sheep in the children's zoo, watching displays of birds of prey, listening to talks at feeding time or simply taking time out in the playgrounds, there is plenty to entertain from first thing in the morning until the place closes. New for this year is Land of the Lions, where you can see a pride of endangered Asiatic lions in a narrative-style Indian-themed display, complete with a disused rail station, a high street of shops and props sourced from India such as rickshaws, bicycles, sacks of spices, maps, rangers' huts, and even a life-size truck. This is an absolute must-visit for all children at least once in their childhood. In this virtual city, kids get to try out all sorts of different jobs in a live roleplaying experience. Do they fancy being a midwife? Paramedic? Fireman? Journalist? Hairdresser? They can try out all these jobs and more. Everyone starts the experience with 50 kidzos, the currency of Kidzania, and then can spend money on training before earning more by working in different jobs. Money can be spent on theatre school, art school, face painting or in the department store. Older children can be left to it while you enjoy a spot of shopping in Westfield. Located in the town of of Windsor, Legoland is an easy day trip from London. If you are going with young children, there is plenty to do if you don't fancy queuing for rides. My three- and four-year-old love the puppet shows and slapstick theatre on Heartlake City's lake and are satisfied by multiple rides on the merry-go-round. There is also a fantastic water park, so bring swimming costumes. 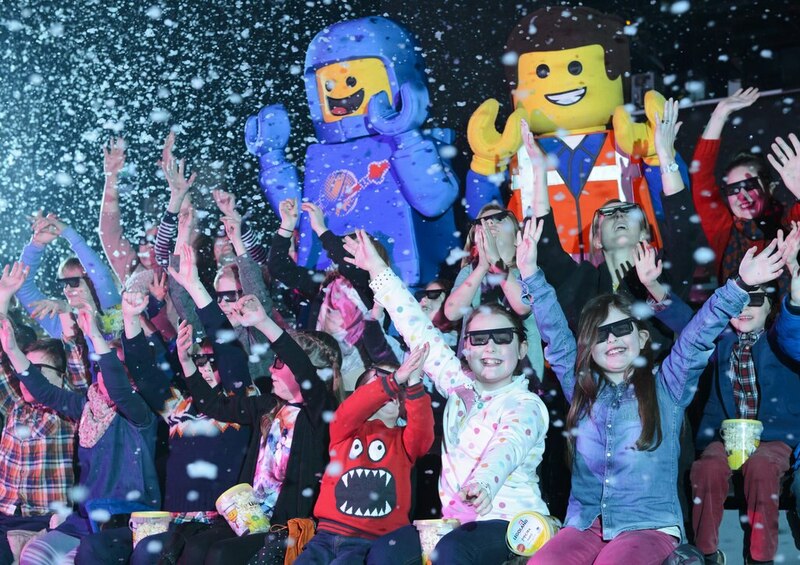 Make sure you don't miss the 4D cinema, where you don 3D glasses and watch either Nexo Knights or Lego Movie 4D: a New Adventure and enjoy the in-theatre effects such as rain and snow. If you have older children desperate for the big rides, then the purchase of a Qbot to reserve your place in the queue while you do something else is more or less essential as queues can be 60 or 70 minutes long for popular rides. The Penguin Point attraction at SEA LIFE London Aquarium. Image courtesy of SEA LIFE. 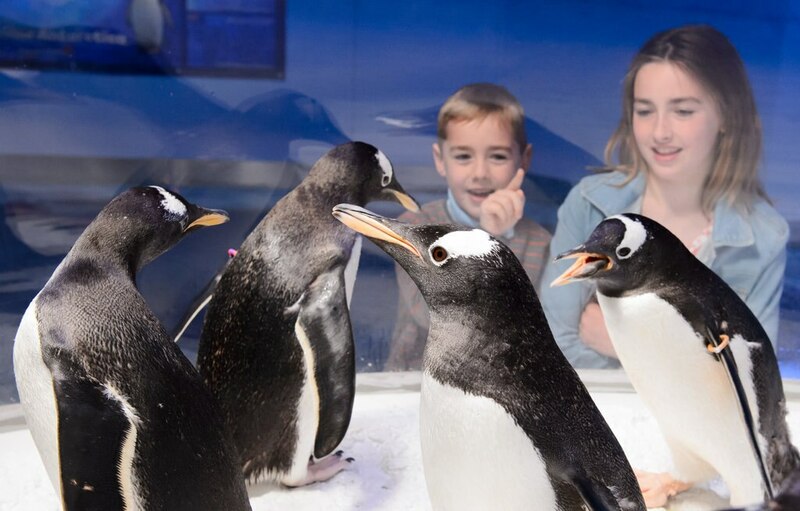 One of the main tourist attractions on London's Southbank, the SEA LIFE Aquarium is informative and entertaining with plenty of exciting things to see for children of all ages. Sharks, of course, are a big draw, but also popular with my kids were the colourful jellyfish and pretty little seahorses. New for this year is the wonderful Penguin Point, where a Gentoo penguin colony lives in a snowy landscape. Viewing domes mean children can pop up right in the middle of the display and get a close-up view of these beautiful creatures. 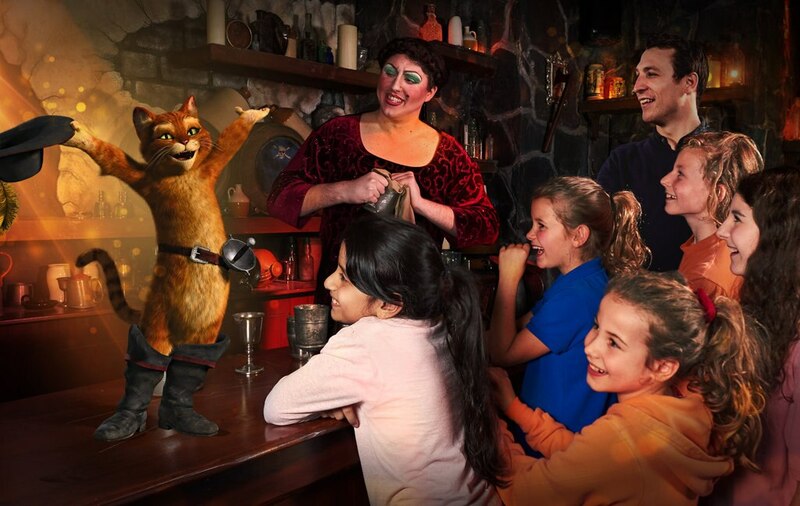 Image courtesy of Shrek's Adventure London. If your kids love the film, then they'll be delighted by this interactive adventure through the world of the loveable green ogre. Take your seat on the Magical Mystery Tour bus for a 4D experience delivering you right to the heart of the story. The quest is to find your way home again and you will be helped or hindered along the way by a cast of familiar characters. My young children were a little scared by the idea of witches chasing them, but engrossed by the cooking up of potions and relished the photo opportunity with Shrek at the end. Image courtesy of London Eye. 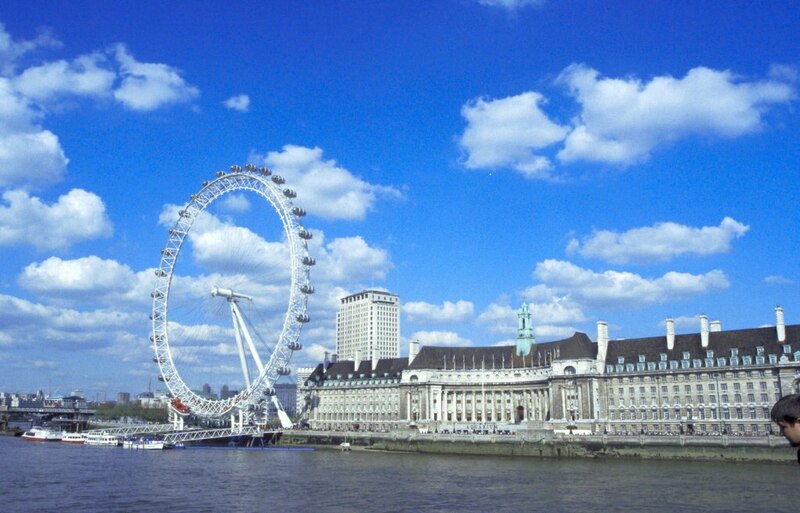 This giant observation wheel is immediately recognisable on the skyline from many places in London and kids will be thrilled by the opportunity to actually go up it. It's not a thrilling ride as it rotates very slowly, but a touch screen inside each capsule allows you to name each building you see along the river. Older children will enjoy getting this perspective on London and seeing where the headquarters of MI5 and MI6 are situated, as well as Buckingham Palace, St Paul's Cathedral and the Horse Guards Parade. Ready to explore London? Start planning your getaway by checking out our London hotel deals.